The Short Version: UrbanSocial has shaken up the dating scene by offering an international dating site, advice blog, and events calendar for singles who have trouble meeting people in real life. Since 2003, this trendy dating network has encouraged outgoing daters to go online to find romance. By using the mobile-friendly website’s search filters, you can be as selective as you want when looking for your ideal date. Members sign up for free and enjoy unlimited searches on the dating site. They also have access to the events calendar where UrbanSocial lets them know about upcoming speed dating events, holiday parties, wine tastings, and singles mixers in their area. Every day, UrbanSocial gives thousands of singles in the UK, the US, Australia, and abroad the chance to put themselves out there and make something happen. In 2003, the dating scene was noticeably different than it is today. Online dating hadn’t yet become a mainstream and socially acceptable solution, and many singles, like Annabel Cooney, struggled to meet compatible dates on their own. At that time, Annabel was going to university in London, and she felt dissatisfied by her date prospects. She and her friends at university found more obstacles than opportunities in the local dating scene. “It wasn’t so much that we weren’t meeting new people, but it was about meeting the right people that you wanted to date, which can be like a needle in a haystack,” Annabel said. 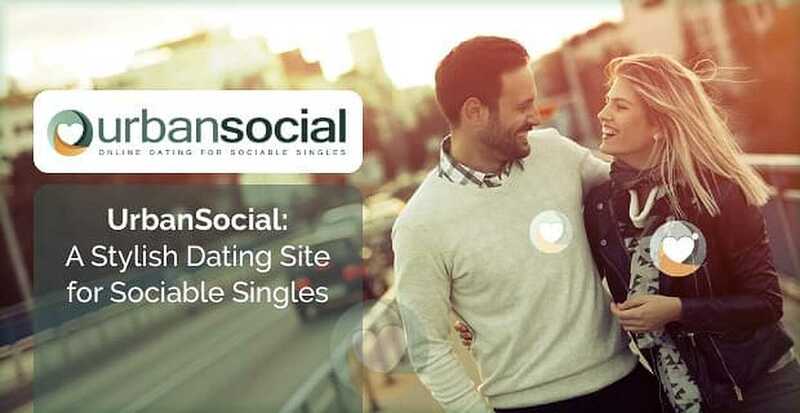 UrbanSocial brings singles out of their shells and into a dynamic online dating world. Annabel and her friend Jim Strong founded UrbanSocial in 2003 because they thought it’d be useful to have an online database of date-worthy folks. UrbanSocial grew primarily through word of mouth. The Co-Founders told their friends, who told their friends, and so on, until they had thousands of members. As time passed and online dating lost its stigma, the dating network grew even more successful. Today, UrbanSocial has made a name for itself as a stylish dating site for modern singles in the UK, the US, Australia, and Ireland. The American version of the site is growing steadily in major cities across all 50 states. Joining UrbanSocial is easy: just input your gender, age, first name, and email address, and you’re good to go. The dating site quickly connects you to a network of active daters who want to meet quality dates. From the very beginning, Annabel and Jim had a particular audience in mind when they designed and launched UrbanSocial — they wanted their dating site to satisfy socially active singles like themselves. They knew confident singles can have high standards when it comes to their dates, and they believed having an online database would speed up the search for Mr. or Mrs. Right. The dating site’s intuitive and trendy look appeals to young, tech-savvy singles. Annabel told us the most active members are over 30, but they also see people as young as 21 joining the site. It’s free to sign up and see if UrbanSocial is right for you. The dating site offers a number of useful features, including location-based searches, profile verification, and customer support. It’s also mobile-friendly, so you can access the dating network on your desktop as well as any mobile device. Today, UrbanSocial has connected thousands of members through shared interests and mutual attraction. Couples who met on the dating site often send thank-you notes to the team. These people owe their love stories to the dating network because they likely would not have met without the help of the online tools. In addition to a dating platform, UrbanSocial also runs a blog that offers fresh content on a variety of dating topics. The blog has five helpful sections: Date ideas, advice, lifestyle, mature, and guy talk. Whether you’re looking for a pep talk before a first date or a guy’s opinion on what’s going wrong in your relationships — you can find straightforward answers for a variety of heartfelt questions. UrbanSocial’s blog gives practical dating tips for singles in all stages of life. Knowledgeable writers get specific about what grooming methods, eating habits, and dating strategies can help singles get the results they want, but the writers also go beyond the superficial and tackle serious issues in the dating world. “If you focus on values, you’ll have better luck connecting with people who share them,” says an article on online dating profiles. 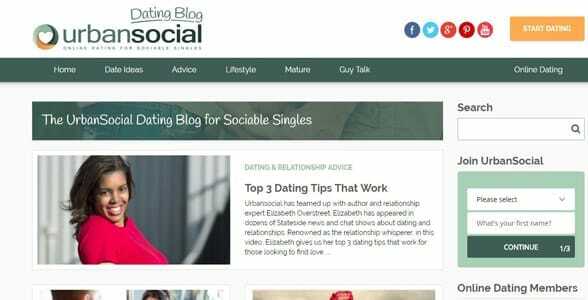 UrbanSocial’s relatable voice and actionable advice has earned its blog much recognition in the dating industry. “We have been a finalist for best UK dating blog and won best new UK dating blog in 2014,” Annabel said. What makes UrbanSocial unique is how it pairs online dating with in-person events. The dating site partners with local party organizations to offer singles a chance to get offline and start face-to-face conversations with singles around town. 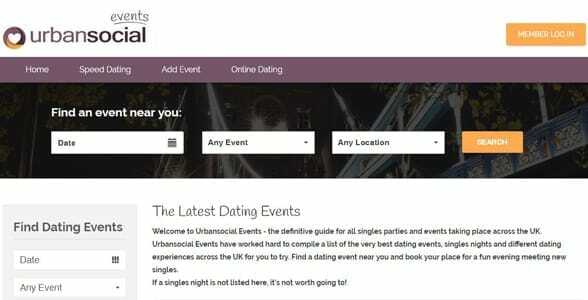 UrbanSocial Events is an ever-growing online directory of upcoming singles events. You can browse through this list to find a speed dating event or singles mixer in your area. The event description tells you when and where to go to make a romantic connection. Some of the events have themes based on age or demographic, so be sure to read the description before booking. UrbanSocial’s events page is a useful resource for anyone who prefers flirting IRL. If you have a particular region, timeframe, or activity in mind, you can filter the search results by location, date, or event type. UrbanSocial Events has everything from low-key wine tastings to structured speed dating. Annabel told us the current events section has been tremendously successful at giving outgoing singles the resources they need to put themselves out there. For the future, she said the team is working hard to develop a more comprehensive guide for all dating events. Before OkCupid, before Tinder, before Bumble — there was UrbanSocial. Two university students launched the dating site in 2003 to make it easier for well-educated and relationship-oriented singles, like themselves, to meet one another. Now the international dating site is responsible for countless first dates and long-term pairings — and more than a few weddings. UrbanSocial’s simple search tools and useful events directory help socialite singles direct the course of their own love lives. You can sign up in less than a minute and conduct a quick search for compatible dates in your neighborhood. Thousands of outgoing singles prowl this network in hopes of meeting that special someone. All you have to do is send a message and start your love affair.